Your Linksys X-series Gateway can either be set up as a modem-router or as a router only using the setup CD that comes with the device. 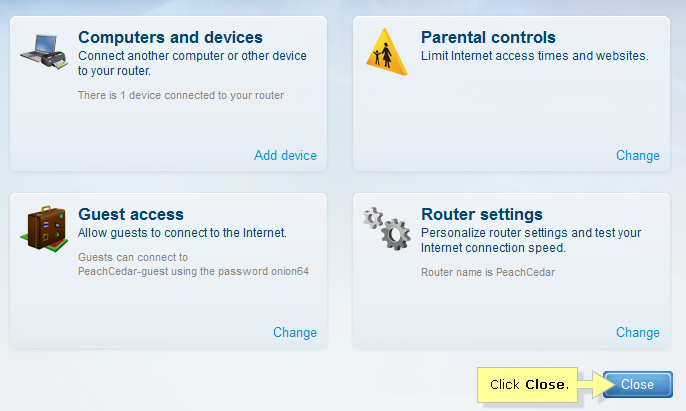 This article will guide you in installing the gateway as a router only using the setup software. NOTE: Linksys X3500 is used in this example. Insert the setup CD into the CD/DVD drive of your computer. 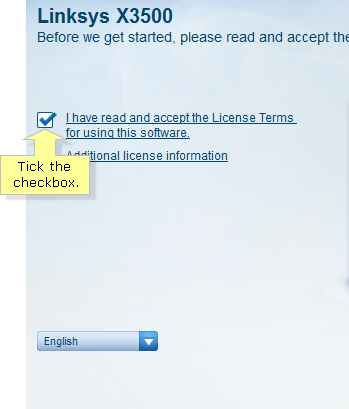 Tick the checkbox after reading the License Terms, then click Next. 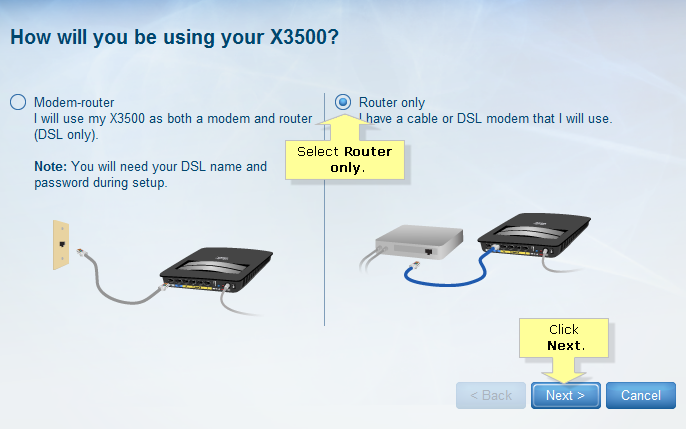 On the How will you be using your X3500 / X3000 / X2000 / X1000 screen, select Router only then click Next. Connect one end of the power cable to the router, then connect the other end to the power outlet. Attach one end of the blue Ethernet cable to the Cable port at the back of the router and the other end to the modem. Power ON the device then click Next. IMPORTANT: Make sure your router is connected to your computer via Ethernet cable. QUICK TIP: To view a step-by-step guide, click Show me how. Follow the onscreen instructions. Wait for the Linksys Connect software to configure the gateway. 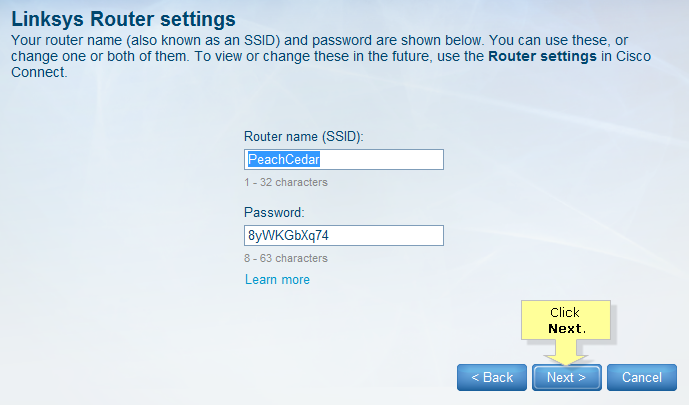 Change the Router name (SSID) and Password then click Next. NOTE: Take note of these settings. You will need these when you connect additional wireless devices to the network. 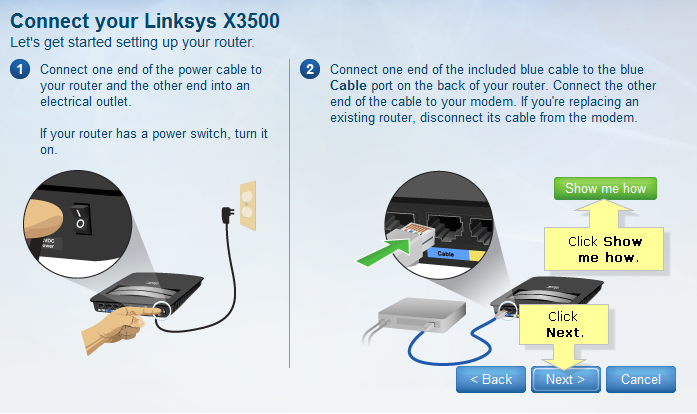 The Linksys Connect main page will appear. Click Close. 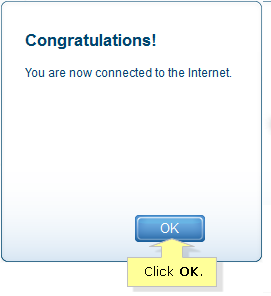 Your Linksys X-series Gateway is now successfully set up. NOTE: If installation fails on any step, reset the gateway by pressing and holding the Reset button for about 10 seconds then re-do the installation. If it still fails, you may install the gateway manually. For instructions, click here for DSL subscribers. For Cable subscribers, click here.